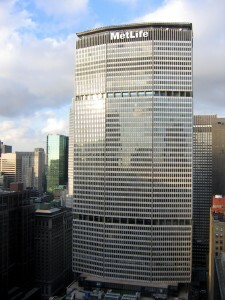 MetLife: Too Big to Fail? On December 18, 2014, the FSOC labeled MetLife as a systematically important financial institution. MetLife, not satisfied with its new “SIFI” label, decided to file a complaint and appeal the FSOC’s decision. On March 30, 2016, Judge Rosemary M. Collyer of the Federal District Court for the District of Columbia, overturned MetLife’s designation as a systematically important financial institution, referencing an inadequate assessment and unsubstantiated assumptions by the FSOC. Shortly thereafter, the U.S. government brought an appeal of its own, as former U.S. Treasury Secretary and chairperson of the FSOC, Jack Lew, said he strongly disagreed with Judge Collyer’s decision. With the inauguration of Donald Trump in 2017, more uncertainty on the outcome of whether MetLife should be labeled as a “SIFI” entered the picture. As the appeal of Judge Collyer’s ruling by the U.S. government took place under the Obama administration, many expected President Trump to simply withdraw the appeal. However, President Trump instead issued an executive order on April 21, 2017, calling for a review of the FSOC and its SIFI designation process by the current U.S. Treasury Secretary, Steve Mnuchin. Both MetLife and the Justice Department, representing the FSOC, separately asked for abeyances, or a temporary state of suspension, while Secretary Mnuchin reviewed the FSOC and its designation process. On August 2, 2017, a U.S. appeals court said the case would remain in abeyance until further court order. Thus, both parties must file motions by November 17, 2017, or within 30 days of Secretary Mnuchin’s final report on the FSOC. The outcome of Secretary Mnuchin’s report and the final outcome of the FSOC’s appeal will have a profound impact on companies that have garnered the “SIFI” label. While MetLife is the first systematically important non-bank to appeal its “SIFI” label, two other companies, American International Group (AIG) and Prudential Insurance, have also been labeled as systematically important non-banks. Thus, if MetLife is able to relinquish its “SIFI” label it is likely AIG and Prudential Insurance will also be able to shed the label. Tyler Cunningham is a second-year law student at Wake Forest University School of Law. He holds a Bachelor of Science in Political Science, with minors in Economics and History, from Florida State University. Upon graduation, he intends to return to Atlanta, Georgia to practice law.